Musical expression is made easy when Woody teams up with the entire audience to play the ukulele together! Play along to the story of Jasmina, a shy young girl at school who learns to unlock her musical potential. This joyous show proves to students that with the right guidance and knowhow, the language of music can be accessed by everyone. Up to 100 ukuleles are handed out to students who are taken on a musical journey of expression as they prepare for an imaginary annual school concert (the show’s finale). The show fosters musical literacy, including listening, improvisation, instrumental and vocal expression, ensemble playing, rounds, composition and of course introductory skills on the ukulele! There are also online videos for teachers that can consolidate the skills learned in the show. Sharing music with other people is a quintessentially human experience. In an increasingly passive, digital and consumer-based world, the show promotes tangible engagement with real instruments. The audience become participants and co-collaborators in the experience rather than passive observers. In this way the audience is lead through an interactive experience of creating music rather than simply consuming it. The show aims to de-mystify music playing and musical expression, proving to students that through their own experience, that they can play music if they want to, and proving to any adults watching (or who are brave enough to join in) that anyone can do it. Musical expression is not just for those who have the secret knowledge of how to play – it’s anyone’s for the taking, and it can enrich our lives in the process. 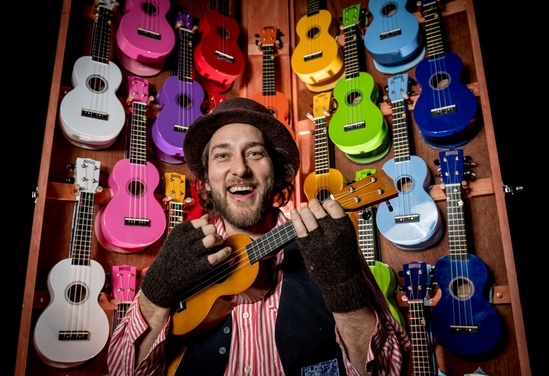 The show will inspire and kick start a ukulele program in your school. Teachers can oftentimes find themselves overloaded and overwhelmed by music pedagogy, and benefit from new modes of content and the fresh methodology to deliver it. 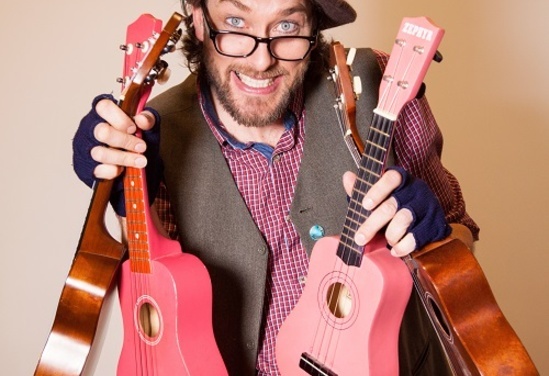 The Ukulele Kids Show and complementary activities bring a fresh vitality to the music curriculum in primary schools. 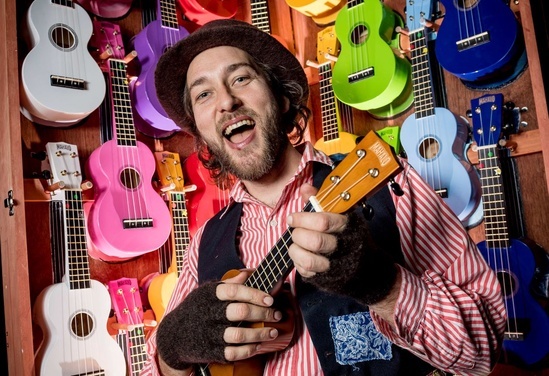 Woody’s vast experience delivering music programs, teaching in the classroom and performing on the national festival circuit, inspire a new direction for ukulele programs within the primary school education sector. His work has been tried and tested across the industry (schools, community programs and festivals), with proven and sustained results. This show will inspire teachers, students and families to continue learning. Woody’s main focus is to make the lessons fun, engaging and relevant for students. The project promotes this premise that every child has the right to be a musician. Booking info: Technical Specifications: : 3.5x4.5m stage, indoor facilities preferred to keep ukuleles in tune.